Welcome at a new episode of our daily haiku meme Carpe Diem. This month I hope to inspire you with classical music from all ages and from all over the world. Let the Music Inspire You ... with a beautiful piece of music by Mendelssohn. Felix Mendelssohn Bartholdy (1809 – 1847), was a German composer, pianist, organist and conductor of the early Romantic period.A grandson of the philosopher Moses Mendelssohn, Felix Mendelssohn was born into a prominent Jewish family. He was brought up without religion until the age of seven, when he was baptized as a Reformed Christian. Mendelssohn was recognized early as a musical prodigy, but his parents were cautious and did not seek to capitalize on his talent. 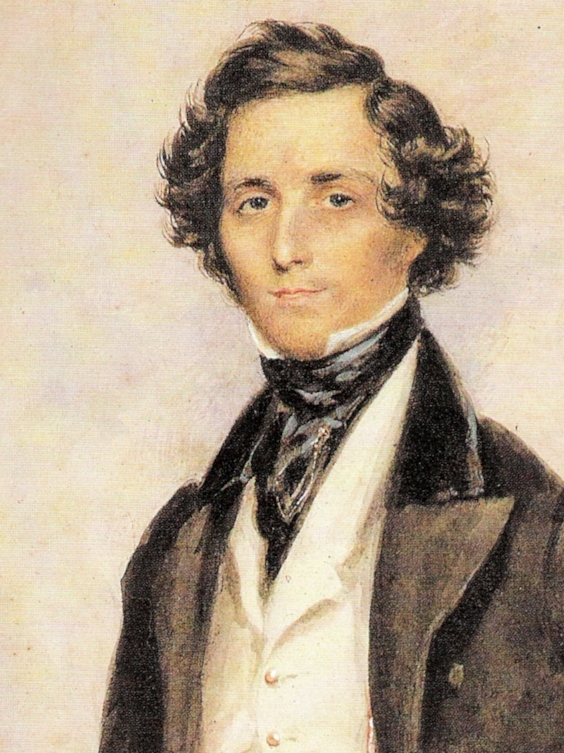 Mendelssohn wrote symphonies, concerti, oratorios, piano music and chamber music. His best-known works include his Overture and incidental music for A Midsummer Night's Dream, the Italian Symphony, the Scottish Symphony, the overture The Hebrides, his mature Violin Concerto, and his String Octet. His Songs Without Words are his most famous solo piano compositions. After a long period of relative denigration due to changing musical tastes and anti-Semitism in the late 19th and early 20th centuries, his creative originality has now been recognized and re-evaluated. He is now among the most popular composers of the Romantic era. Again a composer whose legacy is awesome, but again he also died very young, as we have seen earlier this month. Must be the time in which they lived, but the most of the classical composers we have seen here now died very young. I hope this music has inspired you. I couldn't come up with a haiku or tanka immediately, so maybe I will publish my response somewhat later. This episode is NOW OPEN for your submissions and will remain open until December 10th at noon (CET). I will try to publish our new episode, Conquest of Paradise by Vangelis, later on.